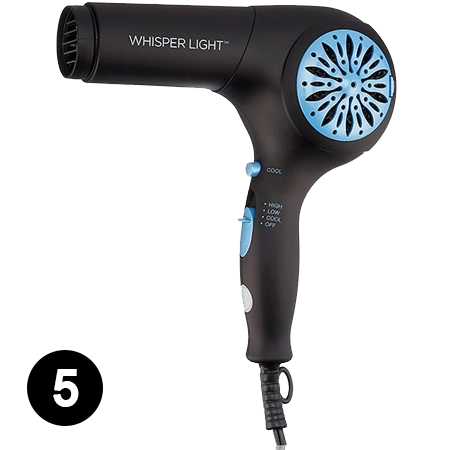 Way back when online stores and physical stores only had about six hair dryers, the task of choosing the right hair dryer to blow dry hair was easier. But, times have changed. Today, the market is so chock-full of high-tech hair drying devices that you wouldn’t know where to begin when choosing the right one. You’d have to think about your budget, your hair type, the hair dryer weight, the brand, and so on. On top of that, you’d probably have to go through at least a hundred reviews so you can feel like you’ll make the right choice. That sounds like a lot of work just to pick the best hair dryer to style and dry hair. That’s exactly what we were thinking so we’ve simplified everything down to a guide you can easily follow. You can call this your cheat-sheet because we’ll break it down for you. By the end of this guide, you’ll be a master at choosing the best hair dryer to style and dry hair. Don’t panic ladies. Wattage a.k.a. "Watts" is a word that we’re not very familiar with but it’s simply a measure of electric power. So the wattage on the hair dryer indicates how strong or fast the motor is. The higher the wattage of the hair dryer, the faster it takes to dry hair. 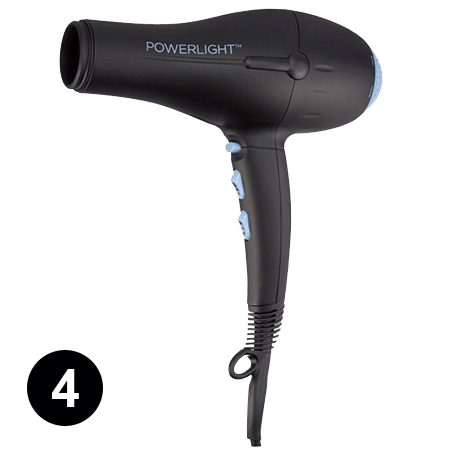 Hair dryers with lower wattage tend to be cheaper, but you’d have to replace them more often because they burn out easily. How do I know that the wattage on a hair dryer is high or low? 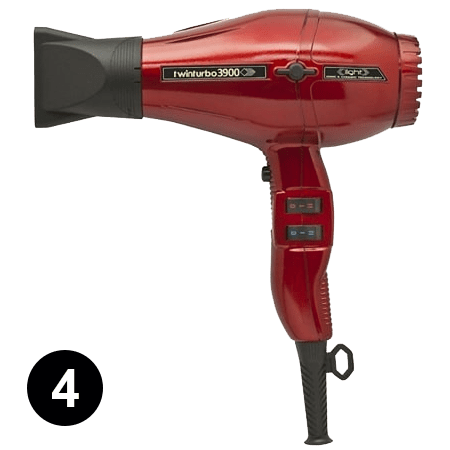 The wattage for professional hair dryers can go as high as 3600 watts. 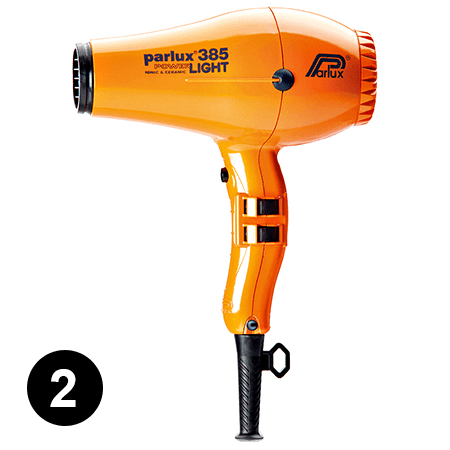 The recommended wattage to blow dry hair at home is around 1350 watts, but you can go for wattage that’s between 1800 and 2200 watts to get the best results. The 1800 and 2200 watts hair dryers have also been recommended to those who have thicker hair. IONIC: Ionic hair dryers blow out negative ions. It counter acts the ions of water, which are positively charged. So, ionic dryers are more effective in breaking up water molecules, scattering tiny droplets on the hair shaft. This prevents frizz, speeds up the drying process, and is best for leaving hair shiny and sleek. TOURMALINE: Think of tourmaline hair dryers as the ionic kind but pimped out. The same technology applies but tourmaline is a semi-precious mineral which maximizes the output of negative ions. It has been found to blow dry hair 40% faster than its non-tourmaline counterparts. This is why tourmaline dryers are more expensive. So which technology do I choose? 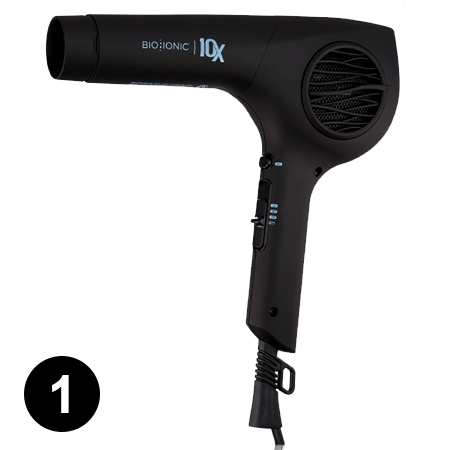 Before we get into which technology to choose, you have to know that there is a non-ionic option for hair dryers because the ionic and tourmaline kind are not recommended for hair that’s already flat and oily. Also, if you’re going to a hair style with a lot of volume, texture and lift, non-ionic is the way to go. As for ionic vs tourmaline, if you’re just using the hair dryer at home, go for ionic technology because it will dry your hair 25-40% faster. But, if you’re buying a hair dryer for your salon or professional use, it is recommended that you go with tourmaline technology. CERAMIC: Ceramic is a composite material. Ceramic hair dryers have this material coated on its body or internal parts, or used as a heating element. These kinds of dryers create infrared heat that penetrates the hair shaft from the inside out. The heat produced by this kind of hair dryer is even across its surface, but it’s not as harsh because of the ceramic coating. TITANIUM: Titanium is a metal that’s lighter than ceramic and porcelain. Hair dryers with titanium heat up easily with the heat evenly distributed. Because this material makes the dryer very hot, you can have an easier time drying thick hair. Which material is better for my hair? When it comes to choosing the right material for your hair dryer, you have to know what hair type you have first. If your hair is damaged or damage-prone, you have to go for the ceramic hair dryer. But, if you have mounds of hair, you might be better of using a hair dryer with titanium parts.